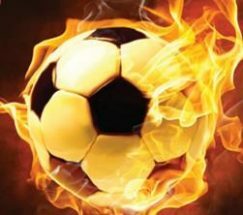 Overgate Hospice invites teams from local companies and businesses to enter the 5-a-Side Football Tournament on Thursday 29 March, 5:30pm (kick-off 6pm) taking place at 3GI Soccer, Shaw Lodge Mills, Halifax. The tournament usually lasts around 3 hours. This event is a great networking opportunity as well as a team building activity that raises money for Overgate from the entry fee of £100 per team. For further information, e-mail sam.bromwich@overgatehospice.nhs.uk or alternatively call 01422 387122. This entry was posted in Events, Mar and tagged Overgate Hospice.